Poonam Bharti quite literally broke the bank to book a flat at the Gokulam India Heritage Township project, two years ago. Overlooking ISKCON’s Sri Krishna Lila Park at Kanakapura, the project was touted as the most ‘divine’ in the neighborhood and was to be executed by ISKCON-Charities. For Poonam, the flat was just within her budget and it sounded like a dream come true. She sold personal possessions to raise money to book a flat, and after checking out the site, registered for a flat in her name. However, sometime last year, the project quietly changed hands and Mantri Developers, which is now executing the project, have hiked the price by 10 per cent (15 per cent including other charges like parking and club house facility). The original buyers have been asked to cough up an extra Rs 20 lakh if they want to retain their home. In September 2009, ISKCON-Charities, Bangalore had announced through its newsletter that it was offering flats to its members in the Phase II of the Gokulam India Heritage Township. Poonam was among 76 patrons who bought flats. She hastily arranged the Rs 3 lakh to pay for the registration, and came to Bangalore on December 9, 2009 to check out the project. She was briefed by Akilesh Baldota of Oysters Marketing, the sole selling agents of ISKCON. After finding all to her liking, she registered for a flat. “I had to raise registration money by selling a few personal items, because I did not have that kind of liquidity. I even paid an extra Rs 250 per sq feet as high rise charges, because I wanted a flat on the 21st floor. I was to have a magnificent view of the theme park and the Heritage Tower as well,” she said. For nearly a year thereafter, she heard from neither ISKCON-Charities nor Oyster Marketing. Every time she called, she was told all was well. In October last year, she was shocked to receive a letter from Mantri Developers. “The letter just stated that the project will now be called Mantri Serenity and that the price would go up by 10 per cent. If I wished to withdraw my booking, ISKCON would refund my money. I had no information from ISKCON, nor did they return my calls or emails. Finally, I managed to speak to Akilesh and he confirmed that Mantri would be developing the project. She was also told that her flat would now be on the 17th floor, never mind the high rise charges she had already paid, and she learnt that the new design would not give her the view for which she had agreed to buy the property in the first place. “I called everybody from Mantri Developers to ISKCON to Akilesh, but I only got the take-it-or-leave-it attitude. They can always sell my flat for a much higher price. When I spoke to Madhu Pandit Dasa, president of ISKCON, Bangalore, he offered me a 2-bhk apartment in the first phase for Rs 46 lakh as a compromise. This is nothing but fraud,” said Poonam. Dasa denied the charge and revealed that they had parted with the project on the advice of their lawyers. “The state government will soon introduce the Karnataka Public Trust Act, which is based on the same lines as Bombay Public Trust Act. It would become a law in about a year. This would make selling immovable properties of a charity without a public auction very difficult. The completion of the project would have clashed with the law coming into force. It would have been impossible for us to sell the apartments. Therefore, we decided to hand over the project to Mantri Developers,” he explained. Dasa also emphasised that of the 76 people who had originally booked with ISKCON, 46 had agreed to Mantri’s new offer and the rest had their money refunded. He said ISKCON had also worked out a revenue-sharing deal with Mantri. The argument, however, is of little consolation to Poonam. “I wanted to buy myself a home. If I had booked a flat with anybody else in December 2009, the rates would have be much cheaper then. We trusted the name of ISKCON and we are now left in the lurch. I only want what was promised to me and what I paid for. Is that too much to ask?” she said. » The total land owned by Iskcon-Charities and the India Heritage Foundation, that will house the Sri Krishna Lila Park and their township project, is about 70 acres. 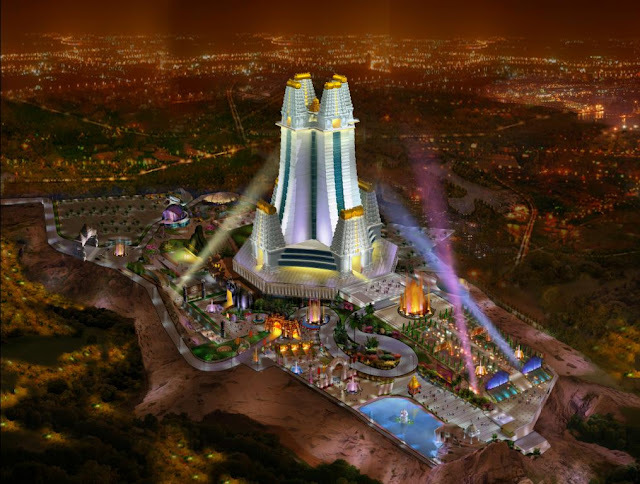 » Of this, about 28 acres will have the Sri Krishna Lila Theme Park. » The Gokulam, or Phase I of India Heritage Foundation Township, is a 600-unit township developed by Iskcon-Charities and is spread on 7.5 acres of the land. » Phase II of the project, which is now taken over by Mantri, is expected to have about 1,800 units and will be spread over 35 acres. » Nine acres of this 35 acre plot have already been sold by Iskcon to Mantri for their proposed mall which is now be part of Mantri Serenity. » Iskcon-Charities will retain about 6.5 acres of the land for parking and other facilities for the theme park. » The ownership of the 17 acres of land where Mantri Serenity will actually come up, is unclear as both Mantri Developers and Iskcon refused to disclose details. What was the idea behind the India Heritage Township? The township was conceived to help finance Iskcon’s ambitious Sri Krishna Lila Park which is a Rs 360-crore project. The main attraction was the spectacular view. When Phase I of the project was put on the market, the 600-unit township sold out within a few months. But Iskcon members were miffed with the management for not being offered the first slice of the pie. In a bid to pacify them, the management came up with Phase II of the project and offered first choice of the flats to its members. The offer price was approximately Rs 2,500 per square foot.